Yahoo!Finance includes Suzanne Hollander advice in its article “13 Surprising Extras that Add Value to Homes!” Scroll down to #8 to read Suzanne’s advice on the value of Boat Slips to Real Estate! Click here to read Professor Real Estate® Blog: Boat Slips Sell and here to watch the Professor Real Estate®TV Episode’s Boat Slips Sell and Waterfront Property Increases Property Value. 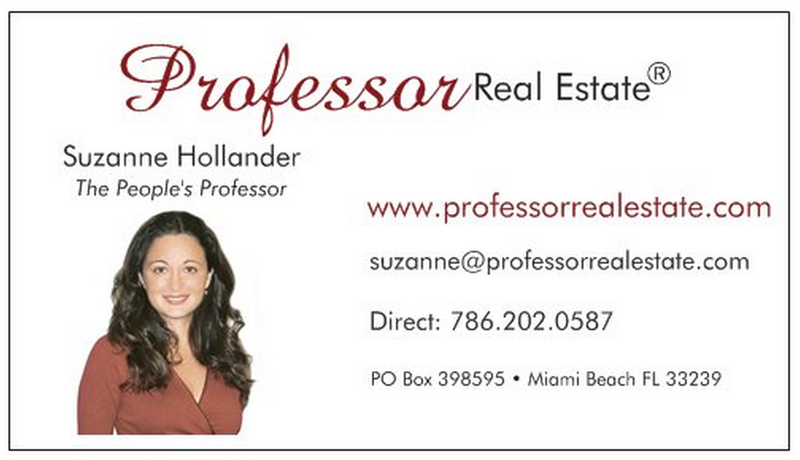 Contact Suzanne Hollander to buy and sell waterfront property and boat slips in Florida and Maryland – she is licensed to sell in both of these states that have lots of boat slips !